Finding Nemo was one movie that saved my sanity when my daughter was a baby. During times when she just wouldn't stop crying, I would put the DVD in and she'd be mesmerized. Of course, I didn't mind watching it over and over either. The story is so sweet and Dory is hilarious. Finding Dory is coming to theaters June 17th, and my daughter (who is much bigger now) can't wait!! 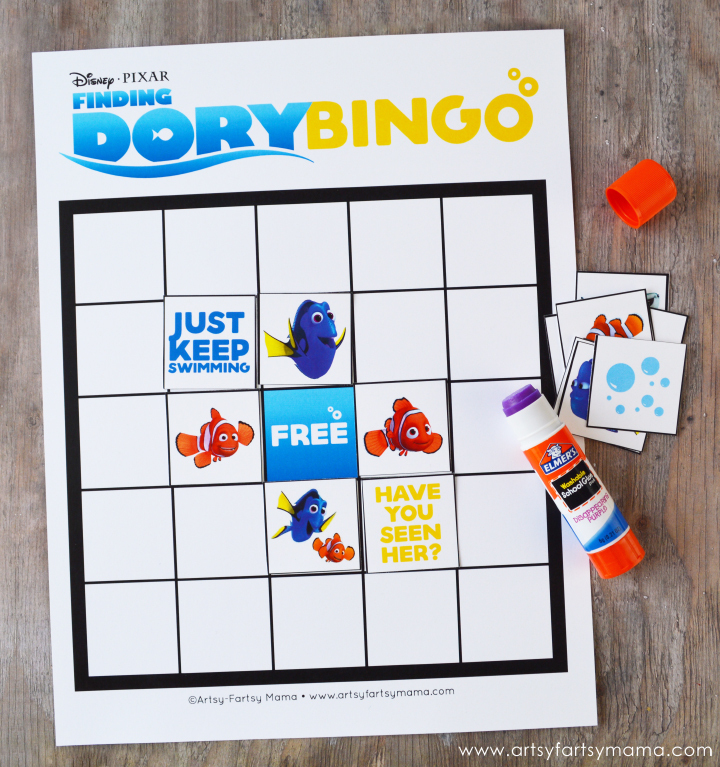 For those who also love Dory, Nemo and Marlin, I've created a free printable Finding Dory Bingo for you all to play to get excited for the movie! 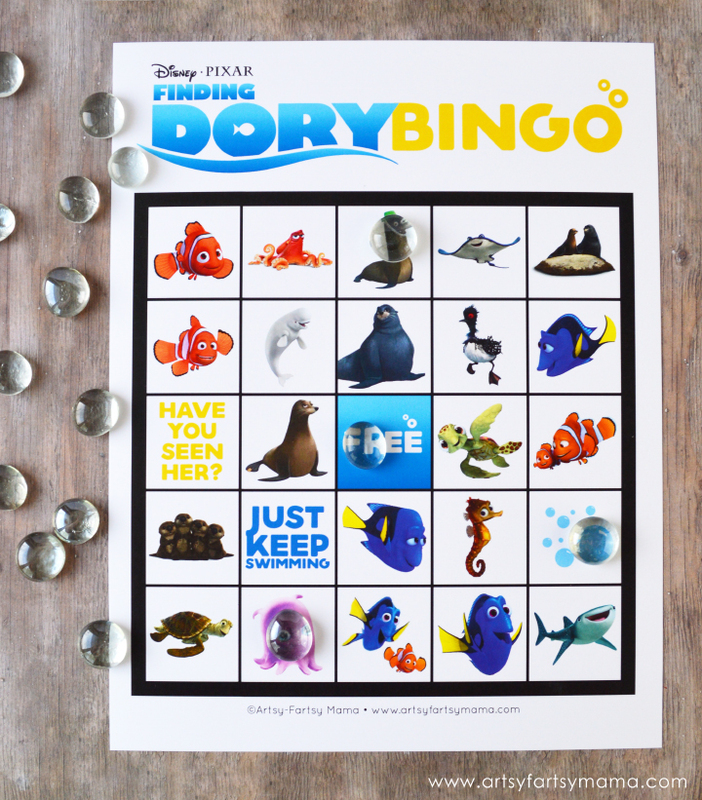 Finding Dory Bingo includes all of your favorite characters like Dory, Marlin, Nemo and a few new ones you might not recognize yet if you haven't seen the movie. The bingo set includes ten bingo cards, so it's easy to print and use for parties. It's fun for every age to play, and the calling cards include the names of the characters in case you don't know who they are. 2. Give each player a bingo card and markers (or put your own card together with the blank set). Have each player put a marker over the free space. 3. Have one person choose a calling card and say it out loud. Each player will cover that item on their card with a marker. 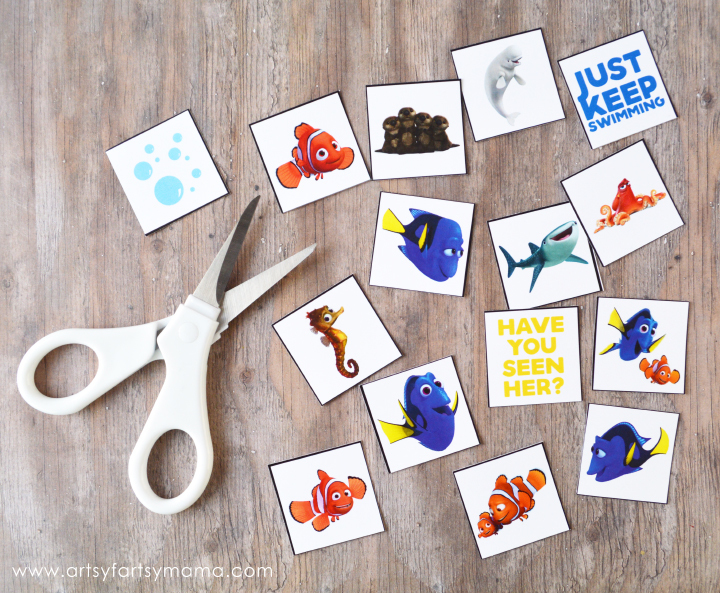 I would love to hear which Finding Dory or Finding Nemo character is your favorite in the comments! So very cute and clever! Well done! What a cute idea! I cannot wait to see this movie! This is so adorable! I can't wait to download and print it. If only my stupid printer would work! This is the perfect game for the bigger kids at daughter's first birthday party! I know it will be a splash!